It’s quite easy to break your own site or cause a costly crash. Unfortunately, it’s even easier to unintentionally strangle and stymie your website’s performance with poor SEO management. Declining search rankings and search visibility problems can have as much to do with technical factors as they can with content or keyword research, so it pays to scour your site for errors and missed opportunities. Anchor links are bits of code on your page that point to a specific spot elsewhere on the page, to a point on another page or even to an offsite destination. Anchor links can be like helpful ushers who steer users directly to specific information. Each anchor link on your website should have an “href attribute.” Don’t let that technical-sounding name intimidate you; it just means the link has to point somewhere. If it doesn’t, you’ve created a broken link, which will harm your SEO. Empty links are sometimes placed (and accidentally left) in place by developers—or anyone tinkering in your CMS—with the intention of eventually plugging in the appropriate link. Unfortunately, search engines hate dead ends such as this. Incomplete or improperly formatted links indicate that a website is unfinished, hasn’t been updated or isn’t a valuable or reliable source of information. In any of these cases, it’s a sign that searchers may have a poor experience and should not trust the content that’s offered. Why would Google rank a site like that prominently in its search results? Repairing broken links isn’t difficult, but it can be time-consuming and exhausting—especially if you have a large website with lots of pages. Scouring through reams of code to look for errors and make repairs as you go is a meticulous process that steals precious time. If missing anchor links are troublesome and annoying, then incomplete internal links are even worse. Like broken anchor links, broken or incomplete internal links can be remnants of a slapdash development process. They can become problematic if a page on your site has been moved, had its URL altered or was removed without putting a redirect in place. If any of those things happened, and the link wasn’t updated, it’s going to show as a “missing destination” on your website. 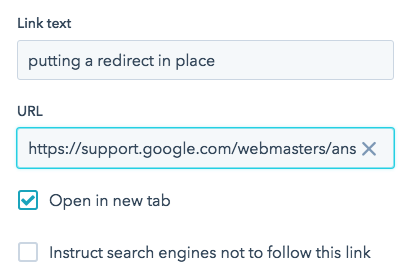 In some cases, links can be classified as broken simply because you or a member of your development team has marked them as “nofollow,” even if they’ve been set up appropriately elsewhere. This can signal to search engine crawlers that you’d prefer some parts of your website not to be accessed—or that you do not want the flow of SEO to continue. Both internal links and anchor links can be very useful—to you as a marketer and for your visitors—but they must be set up correctly to provide SEO value. Otherwise, they detract from the search visibility of your site and can be frustrating to visitors (and potential customers). Bad links and other technical mishaps might be difficult to see with the naked eye, but they can still kill your SEO. Be on the lookout for these silent SEO killers, or your website could end up getting the Google kiss of invisibility death. A version of this post first appeared on the Kayak Online Marketing blog.